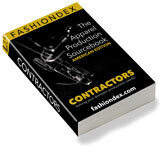 AA WORLD CLASS EMBROIDERY & EMBELLISHMENT CO. solving Embroidery production and contracting needs. AA WORLD CLASS EMBROIDERY & EMBELLISHMENT CO.
with all types of new embroidery & embellishments. Markets: Menswear, Womenswear, Childrenswear, Accessories. Compare AA WORLD CLASS EMBROIDERY & EMBELLISHMENT CO. with all 42 listings in Embroidery.